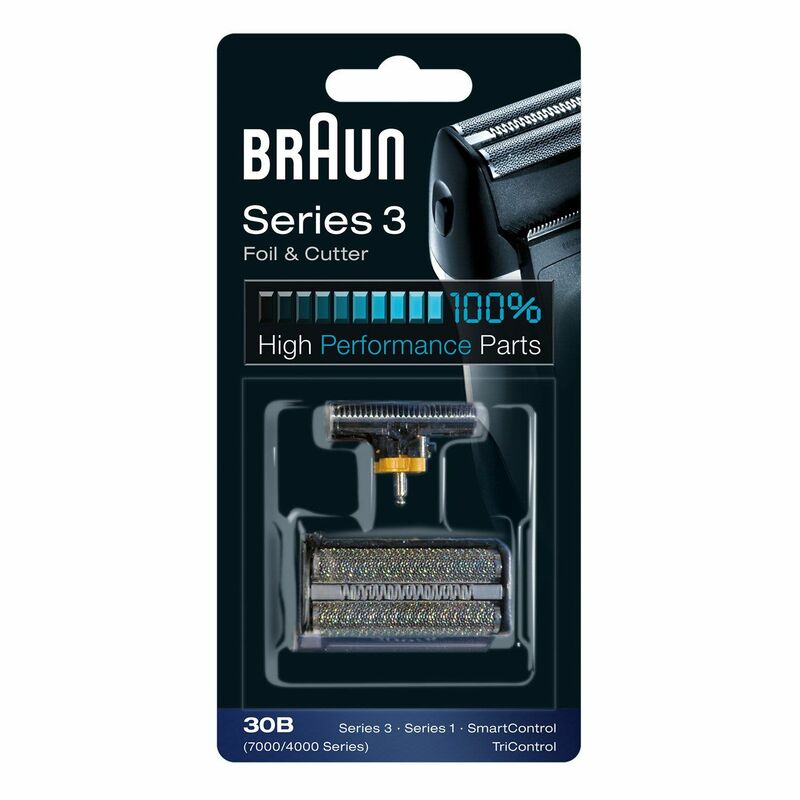 I bought my BRAUN Series 3 shaver at Target 13 years ago. The blade and cover that it came with look the same as this 30B. Until now, it has given me a smooth, razor like shave. I&#39;m now buying my first replacement blade &amp; foil cover pack. Very rugged and chaffing shave. Ripped rather than smoothly shaved my face. Throwing away for Panasonic razor. DO NOT BUY THIS PRODUCT! The picture shows the older (and better) blade type. The newer blades being sold as 30B have "fat" blades with smaller gaps between them. They cut more slowly and less closely. Their price also dropped quite a bit, but the savings is not worth it. If I cannot find the old style blades I'm switching to Panasonic. I love my 7526 Synchro, but this latest foil/cutter combo redesign is awful. My shave time has increased dramatically, especially on my neck, and the results are not nearly as close or comfortable. This foil/cutter only lasted 3 months before developing a large hole in the foil. I don't believe it is a defective set, so I don't have high expectations for a replacement set. I may have to switch to another razor.